Bike computer collects data from sensors, then makes arithmetic operations and shows the result: speed, cadence, heart rate, travel time, etc. Sometimes – power, but it is usually a separate device. 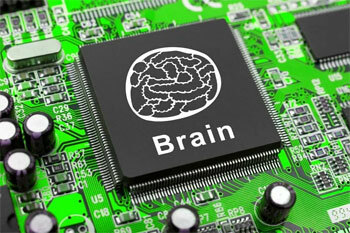 Frankly, it’s nonsense, when such a simple device is called as computer. It is rather a calculator, which is not much different from the first mechanical meters of wheel revolutions. 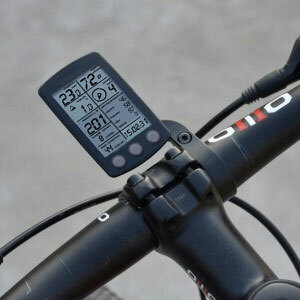 But what it would be if real computer, for example, such as in smartphones, work “on board” during cycling? Usual, the most primitive bike computer continuously shows two figures. Speed is always displayed, and the second “digit” is subject of choice, such as distance traveled or average speed (or “travel time” as shown on photo). At first brevets two “digits” was not enough for me. It was very important do not miss turns on crossroads that were indicated in the legend with bind to traveled distance. And when we rode together with friend we were need to see the usual time, as we changed order every 5 minutes. Therefore it was necessary to fasten additional wristwatch to handlebar. Thus the next bicycle computer was bought a with three indicators, two usual numbers plus the time. But alas, it turned out that usage was not very convenient, and besides wireless connection had much malfunction. 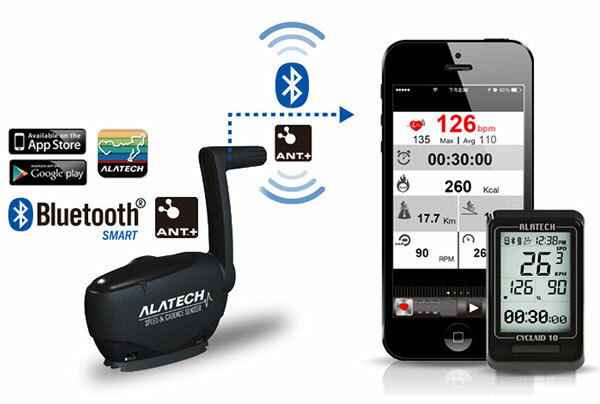 Now we use inexpensive computers with speed and cadence sensor by protocol ANT+, data transfer is reliable. Bike computer shows as usual two digits (I use speed and cadence), and may show the third digit, but only for a pulse. The pulse sensor I do not have, not “riped” yet. 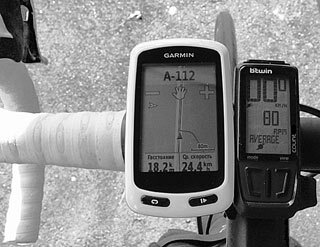 On brevets put also Garmin Edge Touring, which in addition to the map can show at the bottom another two digital indicators. So total of four digits before eyes. 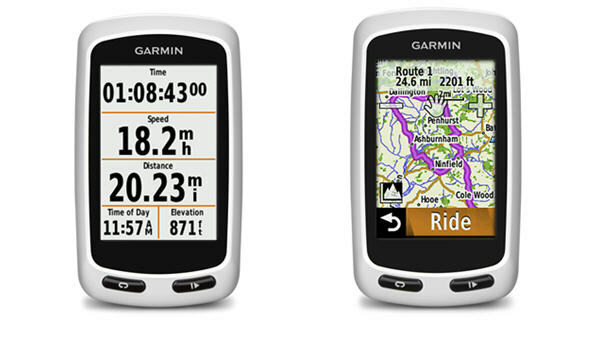 Garmin can be configured to display many indicators instead of the map. So sometimes in the network and in reality somebody advice that a GPS device is enough as bike computer. Leave it outside the scope of this article, I will only say that disagreed with the opinion that GPS may fully replace the measurement of the distance by “curvimeter” with magnets, ie by bicycle wheel. Such long introduction was done only for simple point that two digits that usual bike computer show is not enough for me. And then how many and what kind? Begin with parameters that I would like have permanently before eyes on main display of “ideal bike computer”. Current speed. Yes, perhaps the main parameter of any bike computer. Need. Current cadence. Yes, need, at least to me. For a long time I rode without this indicator, because can estimate how much is cadence. Slope (incline or decline), preferably in a percentage as indicated on road signs. Sometimes bicycle rolls good, and sometimes do not roll. Usually it is simply because of small up or down. Relief sometimes looks deceptively. And in general, such information would allow better control of forces. Wind, direction and strength. The wind could effect to the ride very strongly. The data before the eyes would help to distribute the forces (relax when tail wind and be prepared for headwind). And be aware what wind will be after turn of direction. Thus, I would like to have two parameters: speed of projection of wind to head, and direction of the wind relative to current course. Power generated by legs. 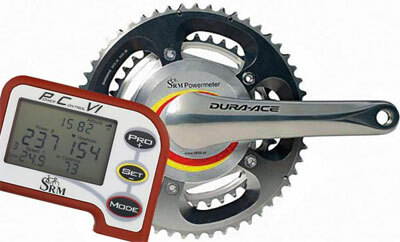 It addressed to huge range of special devices for direct measurement of pedalling power. Usually such devices have a pretty essential price (which, however, decrease) and aimed for sport. I would be glad to see power and without sports orientation, because want to control more flexible the ratio of forces on the pedals and cadence. In other words, same power could be reached with high cadence and low forces on pedals or vice versa. So optimum ratio cadence/force depend not only on individual abilities but also depend of tiredness, mileage, trainings, etc. So power indicator is quite useful for me. Рower expenditure. It is desirable to have several indicators here. To begin with four: the power consumption because of the resistance of the tires-road, of the aerodynamic drag, shaking, and power consumption to the hill (or vice versa, additional power input on downhill). Plus parameters which effect to power consumption, and to the movement. The slop is already listed separately, so need to add coeff. of rolling resistance and total aerodynamic drag (ie frontal area multiplied by the drag coeff.). Learn more about all of these factors here: “(Calculation of necessary power on wheel depend on given speed)“, which shows howpower on the pedals related through these parameters with speed when steady movement. Astronomical time (ordinary watches). As pointed out, perhaps it is quite useful. Thus, just for better optimization of time and force I would like see permanently 13 parameters! And, of course at a price much lower than my bicycle, or rather, much less than the price of a inexpensive smartphone (price of my smartfone is about 100$). As I know, many cyclists optimize forces based on zones of the pulse. So inspite of I do not use it, but the heart rate is also desirable as one more parameter before eyes. But pulse is another story that is very well described in Internet, so I leave all about the heart rate monitor beyond this note. Now let’s see which of these indicators are widely used in bike computers, which is easy to include, which is not easy, but it is possible and what is not in use. I like the current trend where wireless sensors using standard protocols so that data can be used at once by multiple devices, and from different manufacturers. That is, the speed and cadence sensor, which is already put on my bike can be used in this hypothetical new bike computer immediately. 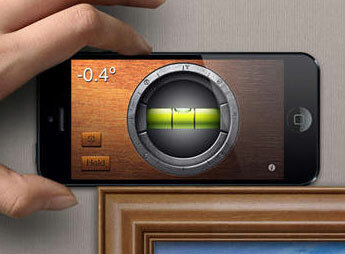 Angle sensor (more precisely it measure angles in three dimensions) is in smartphone, you can test it by program “level”. Since “ideal bike computer” will assume be on the basis of a smartphone, I think that the angle sensor is not a problem. As the acceleration sensor (also called an accelerometer, g-sensor) that can be used to measure the shaking (or perhaps to control acceleration in movement and even for additional calculation of mass, so need to understand more about possibilities of this sensor). Incidentally, smartphone processor include also integrated GPS receiver, but for this ‘package’ of indicators it is not necessary. Now let’s see what is not included to simple bike computers and to smartfones. Power generated by the legs. Now there are 4 kinds of sensors in the market. In the hub of the rear wheel, in the big stars, in the crank and in pedals. As far as I understand, they capture the slightest bending of parts of transmission under stress with the help of piezoelectric ceramics, and according to preliminary calibration converted it into effort indices. As already mentioned, the sensors are expensive (compared to the cost of a decent bike), the typical price range – 1000 euros. Furthermore, the sensors have to be embedded to transmission. For example sensor on crank is glued to the inner surface of a rod. Therefore, it is not very related to conception of bike computer, which can be installed or put on to another bike in a few minutes. As I’ve mentioned sensors becomes cheaper. The fastest price drops have sensors on the cranks. When they still fall in the price of five times, the situation may change, but for now I think, a direct measurement of the power should be left outside the scope of note. Wind. 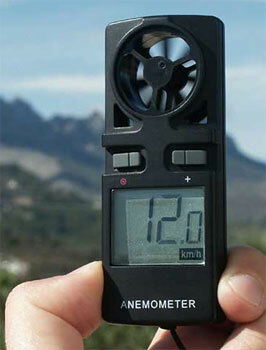 Air flow measurement device is called an anemometer. Such hand-held, portable devices is quite a lot, because there are hobbies, such as paragliding, where information about the wind is much more important than in cycling. In principle, for mentioned above calculations is enough to measure the speed of only headwind flow, so such device will be enough. But I would like to see and the wind direction in relation of course of the bike. I have not find such solution for paragliding (that is strange enough). The weather stations determine wind direction usually by an additional sensor. 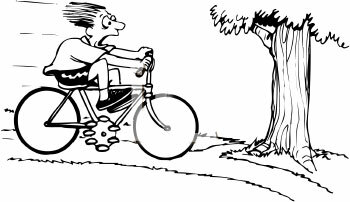 In our case, the problem, in my opinion is simplified, since the main mode of measurement of flow occurs from a bicycle with a known speed, and with a fairly decent speed in comparison to typical values of the wind speed. I think that it is sufficient to use the same XY diagram, which is used for stereo recording of sound (such as in this article: “Recording Classical Guitar“). The idea is that you need two “directed” microphone nearby, approximately at right angle to each other. This is sufficient for determination of place of sound source. I think that it is possible to find the directionof the wind with the help of two sensors located on the edges of a triangular prism, attached to head tube. With protection from the rain, of course. Type of sensors probably better not to choose based on the fans, because the air pressure will be big enough. Therefore, most likely it is possible to get a pressure measurement based on the membrane (as in microphone). Air pressure sensor can be and should be calibrated on the move by the known speed of bike. 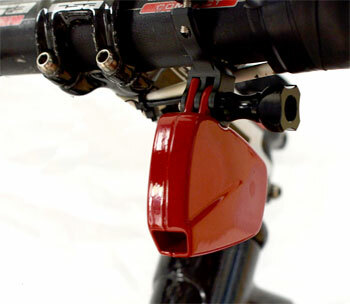 Here is an example of such a sensor for a bicycle but only in the direction of head-flow. 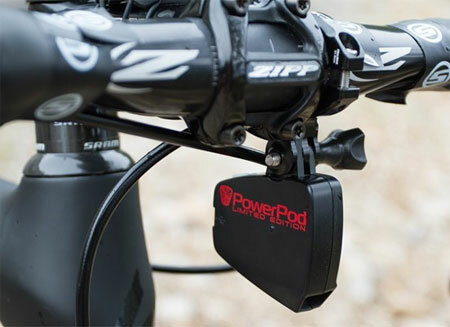 This is a device for indirect measuring the power of pedaling PowerPod. Below I consider it more detaily as it very similar to conceptopn of “ideal bike computer”. And maybe more 🙂 . 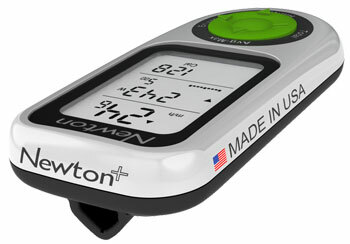 The same manufacturer makes a few years the device iBike Newton+ (as it is called now, earlier were a couple of other names), which is positioned as “indirect” power meter. It made about the same as the PowerPod (you can see port for air flow), but with a display. Reviews on the network is quite controversial, and the cost is high, comparable to the “direct” power meters. As far as can understood from the network, parameters of cyclist and bicycle are directly entered to device, while angle and wind sensor are calibrated. So, may be all already done, but I just do not understand ?. But I will mark the fundamental difference of the conception of “ideal bike computer” which is by no means not positioning as a power meter. Power is only estimated, “for information”. Parameters of cyclist and bicycle are adjusted all the time, because it just can not be known exactly, even curb weight may change during a trip. These parameters, as well as power, too, only “for information”. But the cost of the “ideal bike computer” should be like cost of bike computer, not like cost of power meter, otherwise what’s the point? 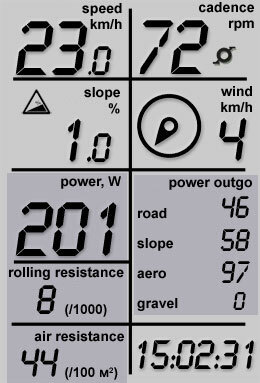 The main idea of the theme of “ideal bike computer and estimated power” is that no need directly measure the power. Instead, with good real computer on board power can be approximately calculated “on the fly”. Thus we can constantly have before our eyes, and generated power, and how this power is consumed, and parameters of rolling resistance and air drag. In principle, nothing new in this idea. So to say “indirectly” definition of power is offered for a long time and in many different ways (below will focus on this). But I have not met yet cheap and want to say working solutions. Of course, the direct measurement of power that go from leg to transmission is accurate (and for “today” expensive) method. It must be in serious approach. But in this note I want to discuss about the inexpensive cycle computer of “new generation”. In this case the requirements to determination of power can be much lower, the data may be of estimation level, just for optimization of efforts. Here is an example from the forum. Amateur cyclist Oleg Parikov was preparing couple of years ago for an amateur race with separate start (time trial). He had two sets of wheels of the same level, but he wanted to choose the ones that roll faster. Have shoe them in the Conti Supersonik 20mm. Inner tubes respectively supersonik. And went test to a Luzhniki. Two rides of 20 minutes. The track is the same. Wind environment too. The main condition – ride in both courses in the same pulse zone. For myself, I identified by 143-150. Going beyond the upper limit – meant to slow down. So under the same conditions for 20 minutes ride Zippy brought to Eurus 600!!! meters. Here is a link to the post (in russian). Of course in this case if the bike was equipped with a power meter, no beed to use the heart rate monitor. It would be possible to keep the same pedal power and fix achieved speed. Such examples also exist, below is a more detailed description in this notes: “Finding cycling perfomance parameters using another’s power meter“, where described how from such measurements can be determined an objective parameter of rolling – coefficient of rolling resistance. Now, going back to the main idea (ideal bike computer and estimated power), consider whether it was possible to choose the best of the two sets of wheels without using the heart rate indications or power meter. Of course it is possible! Just ride down from the hill with such slope and length that to reach a constant speed without pedaling . The best will be those wheels, which at equal aerodynamics and weight speed will be greater. In this way Frank Berto “discovered” that on real road coverage is not necessary to inflate the tires to the maximum (more details in this article: “Calculator of tire pressure (road bicycle)“). Now I underline the principle that want to use in the conception of an ideal bike computer. In the process of riding the bike often are cases when the pedaling power is accurately known, because zero. In this case the cyclist can move in a different situations: from the hill, up the hill, in a straight line, in a group, but not pedaling. Let it occurs for a short time. But suffciently powerful computer on board must calculate change of speed in the inertial motion and retrieve the same information as that when moving with steady speed. Now I go back to the test for the choice of wheels, with a hypothetical ideal bike computer. Hill not needed, it can be replace by computation. You just need to achieve the desired speed and then “throw the pedals”. The movement will start to slow down. The slowdown depends on the aerodynamic resistance and road resistance. If the aerodynamic resistance in the same, there remains only the dependance on rolling of wheels, which ideal bike computer will show, and in an objective parameter: coefficent of rolling resistance. Mark that even no need to go the same speed at the entrance of such a segment of inertial motion. The computer not needed the same speed for calculations. And the coincidence of aerodynamic drag, in general, also not necessarily 🙂 Such coincidences are necessary if you have not computation power, and therefore have to provide conditions when the difference can be measured directly. Oddly enough, in the field of indirect estimation of the energy produced by man is already done pretty much. I will dwell on two approaches. The first approach is the calculation of calories burned. I often have the impression that the purpose of any “fitness” is to determine how many calories were burned. Then immediately transfer this amount to cups of coffee, cans of beer, ham sandwiches, and with a great sense of deep satisfaction to recover calories. 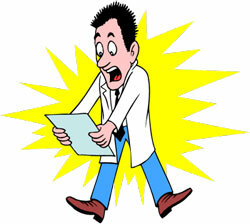 It is believed that most accurate number of calories burned could be determined from the heart rate reading. My navigator Garmin (more info here: “Garmin Edge Touring: navigator for cycling“) is unable to connect the heart rate monitor, so the calories that it issues in the description of each ride can be converted to joules and by dividing to travel time, it could be the average power on the pedals. In principle it can be done on the fly so it is possible to determine the current power based on algorithm of Garmin. Frankly, I did not succeed in analyse of this algorithm. I have tried to analyse a number of different races over a distance of 60 to 150 km, but was unable to decrypt the calorie counting method. But it does not matter in this case because such attempts were done in the network, and the general conclusion is that the Garmin algorithm does not coincide with the data from power meters on the pedals. But here I want to point out that the approach of an independent evaluation of energy when riding has already been “inserted” in the cycling computer for a long time ago. Apparently there is a lot of science, so I think with some adjustments it is possible to “calibrate” and use. The second approach – a direct calculation of generated power from the movement characteristics. This is done, for example in the application “Strava” with certain assumptions, for example it is considered that there is no wind, and the parameters of rolling resistance and aero drag is taken average. More here: How Strava measures Power. I formulate once again the general principle. Ride on the bike is firmly described by simple physical equations. The power generated from the pedals firmly moves the mass. It exactly firmly, not as a pulse that can jump just before the start. And really “food calories” began to burn. You not yet started, but a cup of coffee has earned 🙂 Point here the parameters that are firmly bind by equations. There are curb weight (cyclist, bicycle, water bottle, tools), power on the pedals (multiplied by the transmission efficiency), slope (incline or decline), the rolling resistance, shaking on a bad road, the front area and the drag coefficient, speed of headwind and the bicycle speed. If all these parameters are known, then solve the equations is not necessary. If not known any single parameter, it can be accurately calculated. In our case several parameters are known, and some may change slightly in the process. Therefore, in network skepticism is dominated regarding the possibility of “unraveling” of parameters without additional power sensors. Indeed, it is not easy to unravel parameters. However, in the linked notes below and in text above it is shown that when riding on a bicycle often take place sharp predominance of some one parameter. Therefore, when develop data by “hands” parameters can be separated and determined. And if it can be done in a calm atmosphere, so it is possible to bring this into a powerful computer on board, and do it automatically “on the fly”. I dwell on similar calculations that were made previously on this site. How cycling power spent during moving a bike – here considered how spent power generated on the pedals under steady motion, taking into account the tire-road resistance, air resistance, including wind and slopes. Calculation of necessary power on wheel depend on given speed – here you can “touch” the numbers, enter the desired speed and the parameters that affect the movement and calculate what power it needs. Finding cycling perfomance parameters using another’s power meter – here on the basis of published data in the network about achieved constant speed at varying power shown how you can quite accurately determine the unknown parameters for resistance road-tires and aerodynamic drag. The fact that at low speeds a predominant contribution of one parameter, and on high speed another. Therefore, they are well matched. In this paper, I picked up “by hand”, but it is possible to automate. Found coeff. rolling resistance that perfectly coincided with independent sources, more info here: How speed depends on tires quality. 29er (Niner), how much faster? – here described postprocessing of real measured speed on the track for MTB-marathon on a bike with a wheel diameter of 26 inches. Transfered data to power on pedals. For this it was determined the resistance in movement on paths with different surface. For this purpose particular cases considered when the power was precisely known. That is equal to zero on the slopes when the pedal were not twisted. With these cases, and some of the assumptions could separate the parameters affecting the rolling resistance and aerodynamics. Then was made a “reverse” calculation from power to speed of the for a hypothetical the same bike, but with wheels 29 inches. For this purpose bulky, but automatic (ie, not numerically) calculations were done, in particular the decision of the cubic equation. Calculator. Niner, speed increase – here implemented a reverse calculation speed by the issued power and other parameters, but without taking into account the wind. Why hills lower average speed – here considered how to take into account the inertia. Thus, having good on-board computer system it would be possible to work like this. Identify segments with steady motion (at a constant speed on a constant slope, wind and road condition). Next, determine the power on the pedals with simultaneous determination of parameters of resistance tires-road and aerodynamics. The unknown parameters are taken for the beginning as average, or from previous calculations, and then adjusted on the fly. Extracting information from particular cases. On low speed when driving uphill – aerodynamics not makes a significant contribution, so it is possible to measure the resistance of the tire-road. High speed – on the contrary. And most important: as soon as the cadence sensor provides information that the pedals are not spinning, so at this moment power is known and is equal to zero. All this to be used also for permanent calibration. Consider the inertia, that is to handle cases where speed is not established. 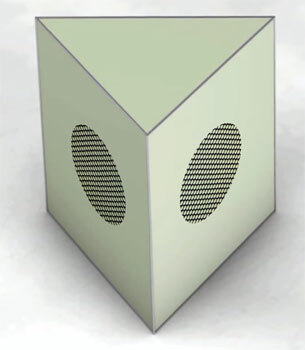 Additionally, take into account the power consumption by the shaking based on acceleration sensor. May be it is possible take the curb weight adjustment here. Interestingly, mentioned above device PowerPod brings collected data from the speed sensor and oncoming air flow to watts of pedalling. And quite accurately. However, its cost is quite high, may be for now. 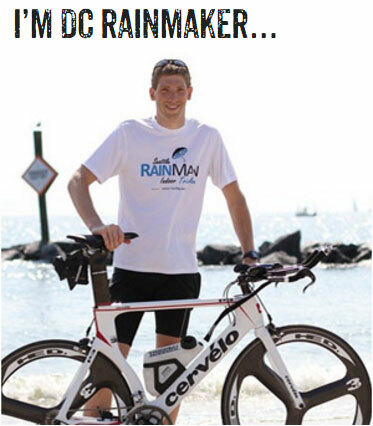 Here is review by DC RainMaker. The first five minutes of the trip goes to the calibrating of flow (and may be of other sensors too), and then the power output is in good agreement with the measured by conventional sensors in the transmission. It was noted however, that the power is generally slightly overstated and not match on the cobble. Judging by the fact that the cadence sensor is optional, cases of “power is known and is equal to zero” is not processed. Weight required in the calculations may be is taken from the profile of Garmin, which show the data from the device. Very small information is available in the network so it’s difficult to draw conclusions about the know-how of this approach. The official site of the manufacturer does not explain details (better still to say, explains nothing, as well about their product iBike Newton which looks like PowerPod + display + software), and immediately sent to the review of DC RainMaker. Sometimes it is possible to make all easier, if you select “scenario”. For example, when riding on a mountain bike in the forest (such course with “ski loops” described here: “Course for MTB type XCM (marathon) in Alfa-Bitsa (Moscow)“). In the forest there is no wind, so the wind sensor is not needed, and the wind does not need to be taken into calculations. Further, cross-country loops cosist on climbs upward, when the contribution of aerodynamics is small, and runs down when the pedal is not twisted. If you make a only one assumption: the resistance of the tire-track on the rise and descent of the same, the following parameters separated very good and easy. The only thing, you need to stand on the scales with the bike before ride and to press the button “forest” before start. Then, in motion will be immediately issued power in legs, coefficient of rolling resistance (it is possible so to choose the optimal tire pressure precisely for this route) and the aerodynamic drag on the slopes (you can finally understand whether it plays a role in MTB ?). 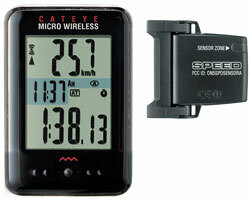 A wind sensor can not be rearranged to MTB from road bike ? Finally, a couple of thoughts about the development. Firstly, GPS use. It can be used for additional calibration, but it rather refers not to the development but to realization of what described above. The next step: the perfect bike computer will also be able to analyze and a new distance, if to upload track. Elevation can be considered well-known, more in this article: “Sports GPS-tracker: field testing“. Therefore, the new distance can also be divided into segments, for each of which bike computer can make recommendations in accordance with the current driving style.